Our Bobcat is perfect for any landscaping project. 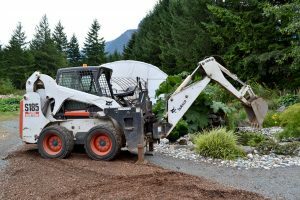 We can dig out sites for ponds, move boulders, lay sod and bark mulch. 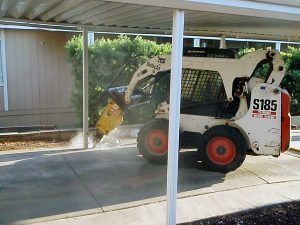 Our Bobcat machines are a convenient size and their easy maneuverability allows us to access small spaces without damaging property. KCR Bobcat & Country Services has served the district of Hope, BC and the surrounding areas for over 10 years. Whether you are starting a landscaping project, digging holes for a fence or removing debris, we can help! Check out our extensive list of services below. KCR offers a large variety of landscaping products. Stop by if you are in need of bark mulch, gravel, manure, sand and soil. We provide delivery as well! 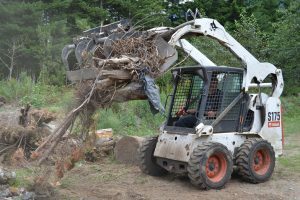 Let KCR Bobcat help you with your next debris removal. Our Bobcat grapple attachment can haul boulders, logs, concrete from demolition and various other debris. Let us help you with your next fence installation. We have the ability to auger holes at 6 inches, 9 inches and 12 inches in diameter up to a depth of 4 to 5 feet. We install numerous types of fences: cedar panel, cedar split-rail, chain link, livestock, etc. Come by the Hope Garden Centre and browse our selection of shrubs, annuals, perennials, seeds and fertilizers. KCR Bobcat & Country Services and Hope Garden Centre have been serving the District of Hope and surrounding areas for over 10 years. 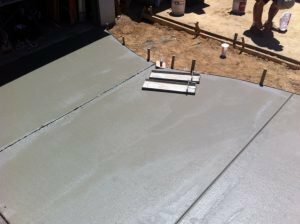 We provide local homeowners and businesses with a wide range of services, from excavating to landscaping or just general tidy-up. Our expert knowledge and versatile Bobcat equipment allow us to provide customers with the best workmanship and service. If you have a vision, we can make it a reality. Our goal here at KCR Bobcat is to treat all of our customers the way we would like to be treated, respectfully and considerately. We do each job with integrity, and to the customer’s satisfaction. Over 100 more attachments available! We have a width of 5 feet and fit into most back yards with minimal modifications, if any. 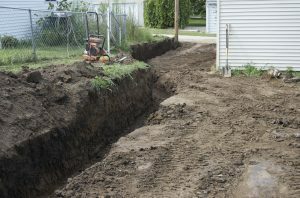 Trenching for electrical, water and sewer lines and septic repairs. Trenching drain pits and drain tiles. 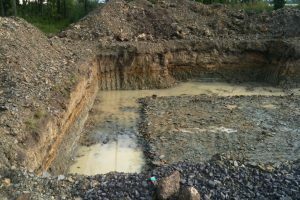 We can dig out sites for ponds and swimming pools. Removal of concrete and asphalt from demolition. 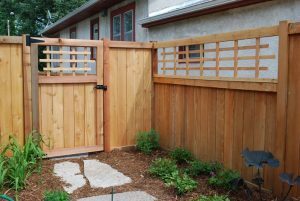 We install numerous types of fences: cedar panel, cedar split-rail, chain link, livestock, etc. We have the ability to auger holes at 6 inches, 9 inches and 12 inches in diameter up to a depth of 4 to 5 feet. 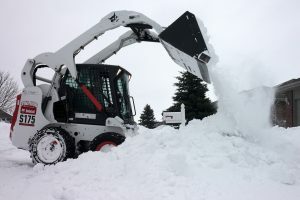 We currently have a number of Commercial and Residential Snow Clearing Contracts in Hope and outlying areas including Boston Bar and Sunshine Valley. We offer regular service at certain depths of snow as well as clearing on an “on-call” basis, (if a customer is on an “on-call” basis, we do not guarantee same-day service). We can load your trailer, truck, garbage cans or other containers. We also deliver all the above products. 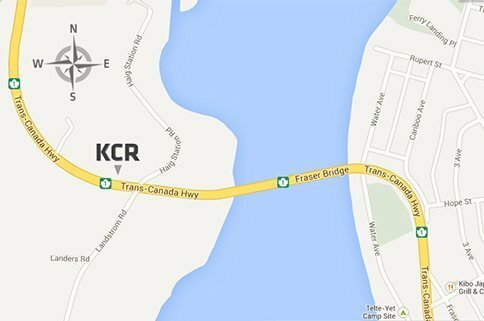 Our business is located just past the Fraser Bridge, going north on Highway 1 towards Yale. Look for Hope Garden Centre sign on the right. © KCR Country Services Ltd. Hope, BC. All Rights Reserved.